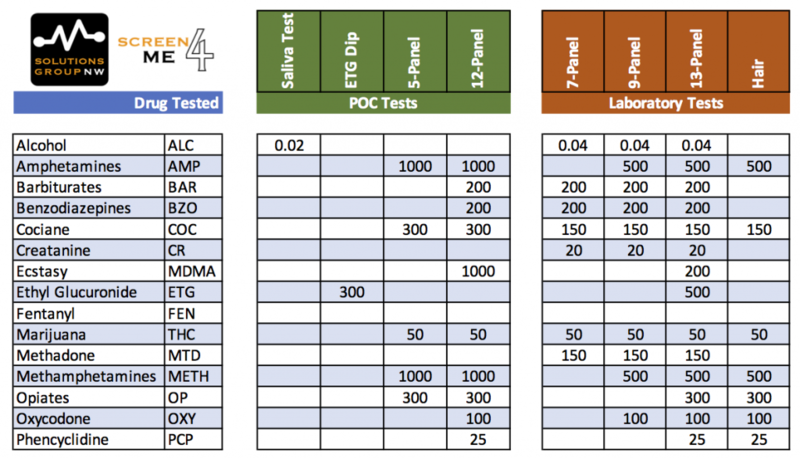 We provide high quality drug screens in the Portland metro area branded as Screen4Me℠. We provide services for both individuals and for employers. We offer same day, next day and weekend appointments. We can schedule a drug or alcohol test for pre-employment, post-accident, reasonable suspicion, random, probation, court-ordered, DUI, personal, return to duty and more. We are also a complete drug-free workplace solution for employers. We provide multiple saliva, urine, EtG and hair testing options. The tests can be instant or laboratory tests with confirmation. Please call to discuss your specific situation so we can offer you the best options. All laboratory tests are performed by SAMHSA compliant and CLIA certified laboratories. The collection facilities are state certified by the State of Oregon for providing mental health services and collect samples. Please visit our affiliated Screen4Me℠ website for more information.